The first thing you need to know is, “Fame — The Musical” doesn’t have much to do with “Fame,” the mega-hit movie from 1980, nor with the popular TV series that came after and ran for six years. If you come expecting to see Coco or Bruno or Leroy, or to hear such songs as “Hot Lunch Jam,” you might be surprised. But Sarasota-based director Dom Ruggiero says you probably won’t be disappointed. 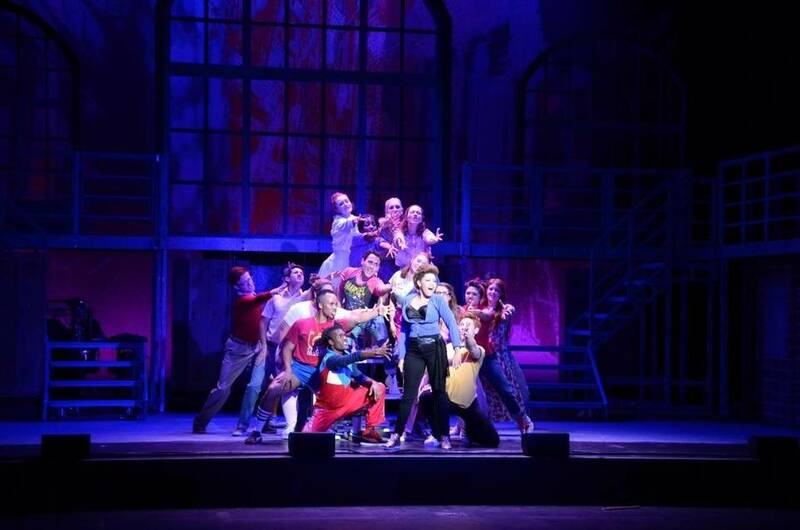 Ruggiero directed the national tour of “Fame — The Musical,” which stops at the Van Wezel Performing Arts Hall for two performances, on Wednesday and Thursday. The musical begins in 1984, the first school year after the kids in the movie would have graduated. A teacher in the musical version warns the new group of students that they shouldn’t take the movie too literally, that going to the High School of Performing Arts doesn’t include dancing on cars. No matter how much talent and passion the students have, the teacher tells them, it’s not enough. They’re going to have to work for fame. “The message of both the film and the musical is ‘Don’t give up,’ ” Ruggiero said. “Fame — The Musical” has never been on Broadway, but it was an Off-Broadway hit, and it has had successful productions all over Europe. There are at least 19 cast recordings from various productions. The current tour, directed by Ruggiero, has some slight differences compared to other productions. For one thing, the title song, which is the only song from the movie that remains in the musical, has been lengthened. Earlier productions used only a snippet. It’s a non-Equity tour, which among other things means one-night and two-night stands and a lot of bus travel in between. For older, more experienced performers, that can be taxing, and sometimes that’s evident in the show. But “Fame — The Musical” is a little different. Not all the cast members in the Van Wezel staging will get on the bus after the show, though. Linda Carson of ABC 7 will take a cameo role as a teacher on Thursday. And students from Sarasota High School and North Port High School have walk-on roles as students in both performances. Details: 7 p.m. Dec. 8-9, Van Wezel Performing Arts Hall, 777 N. Tamiami Trail, Sarasota. $36-$76. 941-953-3368, vanwezel.org.